August 5, 2011 Celebrity, Culture, Economy, Government, Obama, Politics, Stimulus, stock market, Wall St. 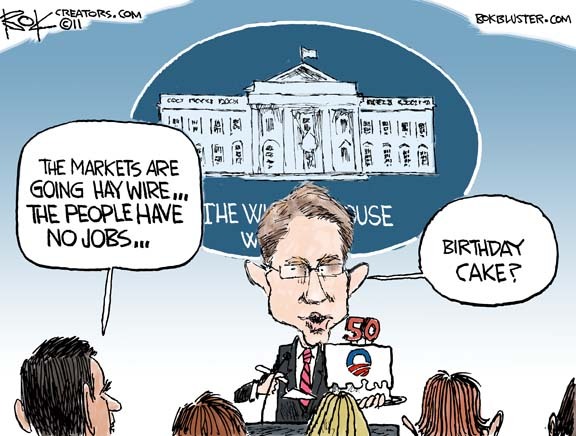 The president celebrated his birthday in style while the stock market suffered its worst week since March 2009. Here’s an exchange between ABC’s Jake Tapper and press secretary Jay Carney over the collapsing stock market on Thursday. 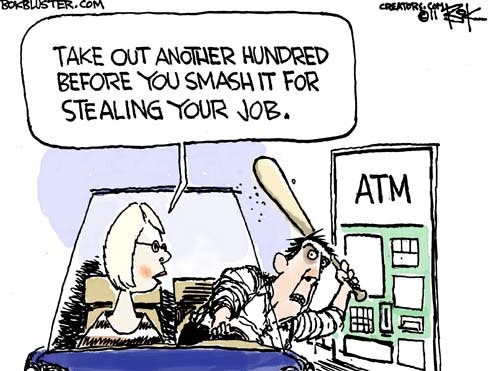 Oblivious to the role of grocery store scanners, Obama blames the poor economy on ATM machines. Good news: There was a gain of 431,000 new jobs in May. 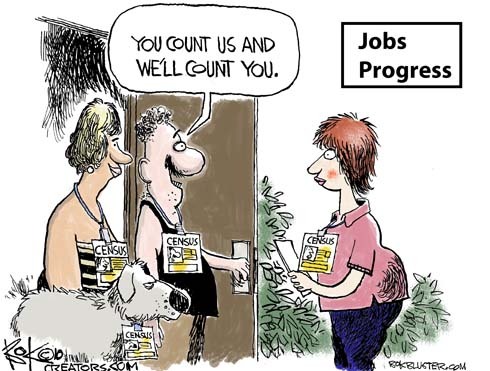 Bad news: 411,00 of those jobs were census workers. Click here for the story in the Philadelphia Inquirer.